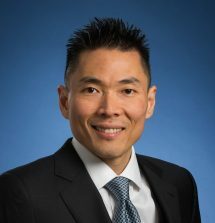 In August 2017, Dr. Raymond Kim became a Ted Rogers Centre Scientific Lead in his position as co-director of the Cardiac Genome Clinic at SickKids. Dr. Kim is one of Toronto’s rising star medical geneticists, with appointments at several institutions. He is a medical geneticist at the Division of Clinical and Metabolic Genetics at SickKids, at the Fred A Litwin Family Centre in Genetic Medicine that is jointly run by UHN and Mount Sinai Hospital, and at the Princess Margaret Cancer Centre. Dr. Kim earned his MD/PhD from the University of Toronto in the department of medical biophysics under the supervision of Dr. Tak Wah Mak. There he studied the genetics of tumour suppression and neurodegeneration. Dr. Kim is one of a handful of dual-trained internal medicine and medical genetics specialists. He is a fellow of the Royal College of Physicians and Surgeons in Internal Medicine and a fellow of the Canadian and American Colleges of Medical Genetics. His practice consists of patients with hereditary disorders and focuses on multi-disciplinary care, transition of pediatric patients, and rare diseases. His research interests include genomic medicine, rare disorder registries and incorporating novel genetic technologies in patient care. This includes whole genome sequencing and cell-free DNA. He is actively involved in the Canadian College of Medical Geneticists and is chair and member of many committees. As previous co-director of the Cardiac Genome Clinic, Dr. Kim transitions to scientific lead of this project to continue to integrate the Ted Rogers Centre community and deliver genomic medicine in the understanding of heart failure. Dr. Seema Mital is a global leader in genetic research on congenital heart disease and heart failure, and the ultimate goal of personalized medicine. She established the SickKids Heart Centre Biobank, a multi-centre biorepository of children and adults with childhood onset heart disease for genomics research, one of the largest of its kind in the world. Her research interests include genomics, pharmacogenomics, and stem cell applications to model childhood heart disease and discover new therapies. As co-scientific lead of the Ted Rogers Centre for Heart Research Precision Medicine program, Dr. Mital has established genomics, stem cells and clinical working groups that flow through all three partner institutions. She has launched whole genome sequencing of children with heart failure to identify individual risk predictors as a precursor to developing new diagnostics and therapeutics. Dr. Mital is principal investigator of the CIHR-funded Canadian National Transplant Research Program and the NIH-funded Pediatric Heart Network. She serves on the Leadership Committee of the Functional Genomics and Translational Biology Council of the American Heart Association, American Heart Association National Peer Review Steering Committee, and the Heart and Stroke Foundation of Ontario Research Advisory Committee. She is vice-chair of the AHA Council on Cardiovascular Disease in the Young and Heart and Stroke Foundation of Ontario Chair of Cardiovascular Science. Dr. Mital earned a bachelor’s degree in medicine and surgery from Bombay University, completed a pediatric residency at Wayne State University and a fellowship in pediatric cardiology at Columbia University. Dr. Mital served as assistant professor at Columbia University, Morgan Stanley Children’s Hospital of New York, until 2007 when she joined SickKids as staff cardiologist. 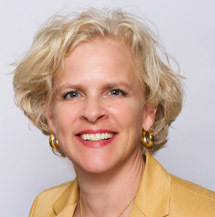 Dr. Heather Ross is one of Canada’s most esteemed cardiologists, and leads all Ted Rogers Centre efforts in interconnected clinical care and research at the University Health Network’s Peter Munk Cardiac Centre. She specializes in issues related to end-of-life in patients with advanced heart failure, targeting gaps in end-of-life care. Her research platform currently has a significant focus on both mobile health and patient outcomes. For the former, a proprietary algorithm and mHealth platform has allowed her team to improve quality of life, enhance self-care and improve outcomes in heart failure patients. For the latter, with a large database established, she continues to better define prognosis in these patients to predict who should receive specific therapies, when, and if mechanical circulatory support or transplants must be considered. Dr. Ross is past president of the Canadian Cardiovascular Society and executive member of the Heart Failure Society of America. She served as president of the Canadian Society of Transplantation in 2005 and, for the International Society for Heart & Lung Transplantation, executive member (2002-2005) and secretary treasurer (2007-2010). She has held numerous positions with the CIHR Training Program in Regenerative Medicine over the past two decades, and in 2010 was chair of the ISHLT Master Academy in Heart Failure. In publishing, Dr. Ross is associate editor for the Journal of Heart and Lung Transplantation and a former associate editor for the American Journal of Transplantation. She has published over 200 articles and won numerous teaching awards. 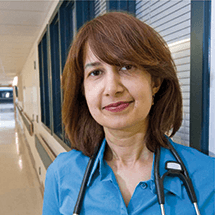 Earning a medical degree from the University of British Columbia, she trained in cardiology at Dalhousie University prior to a postdoctoral fellowship in cardiac transplantation at Stanford University. She holds a master’s degree in bioethics from the University of Toronto. 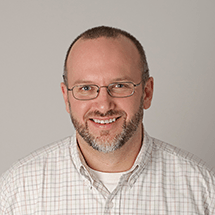 Craig Simmons is an expert in cell and tissue engineering, with a research focus on understanding the processes by which biomechanical forces regulate tissue regeneration and disease. His research team applies this knowledge to develop new treatments for heart valve and blood vessel diseases, including strategies to regenerate cardiovascular tissues using stem cells and biomaterials. Similar approaches are also used by Simmons’ team to create novel microtissue models as laboratory tools for improved drug testing and development. He is a fellow of the Canadian Society for Mechanical Engineering, a member of both the Ontario Institute for Regenerative Medicine and Heart & Stroke/Richard Lewar Centre of Excellence, and serves on the editorial boards of ACS Biomaterials Science & Engineering and Cardiovascular Engineering & Technology. Simmons is former director of the NSERC CREATE Program in Microfluidic Applications and Training in Cardiovascular Health. He is the recipient of several research and teaching awards, including the Ontario Early Researcher Award, the McCharles Prize, the McLean Award and the Heart & Stroke Foundation CP Has Heart Award for research excellence. Dr. Simmons received his B.Sc. (Eng.) in bioengineering from the University of Guelph, S.M. in mechanical engineering from the Massachusetts Institute of Technology, and PhD in mechanical and biomedical engineering from the University of Toronto. He continued his research training as an NSERC postdoctoral fellow with David Mooney at the University of Michigan in the field of tissue engineering and as an American Heart Association postdoctoral fellow with Peter Davies at the University of Pennsylvania in the field of heart valve mechanobiology before being appointed to the University of Toronto in 2005. Extracellular vesicles: what can they tell us about diabetes and heart failure?